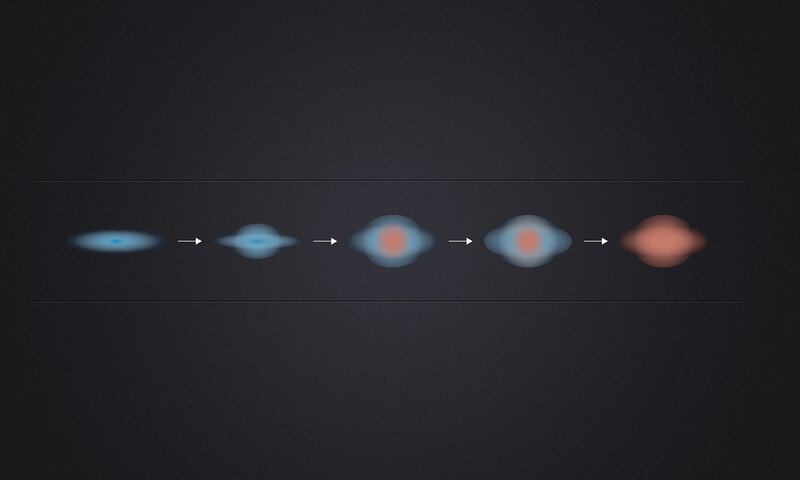 ESO Supernova Exhibition — How do galaxies evolve? Galaxies are constantly changing and evolving in many different ways because they are made of stars, which themselves evolve. Encounters with other galaxies also bring about significant changes. 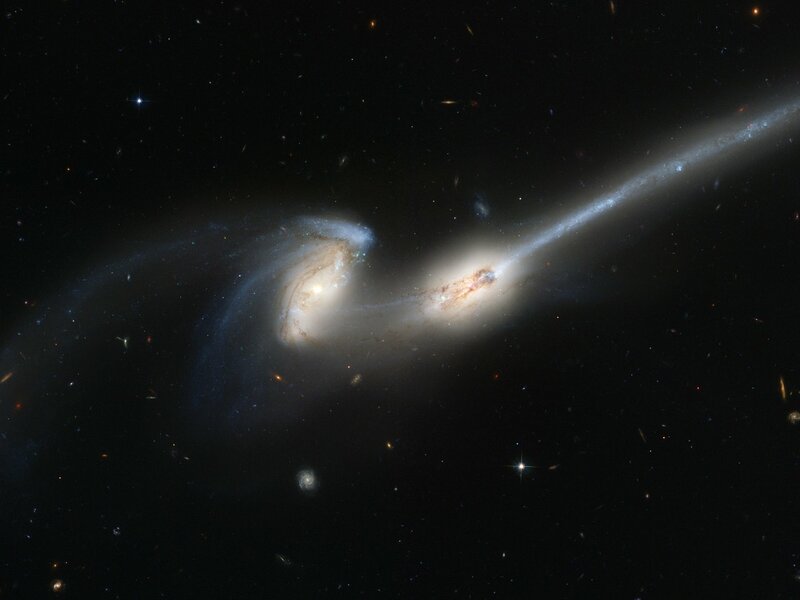 Nicknamed “Galactic tails: The Mice” because of their long tidal tails, these two colliding galaxies will eventually merge into one. 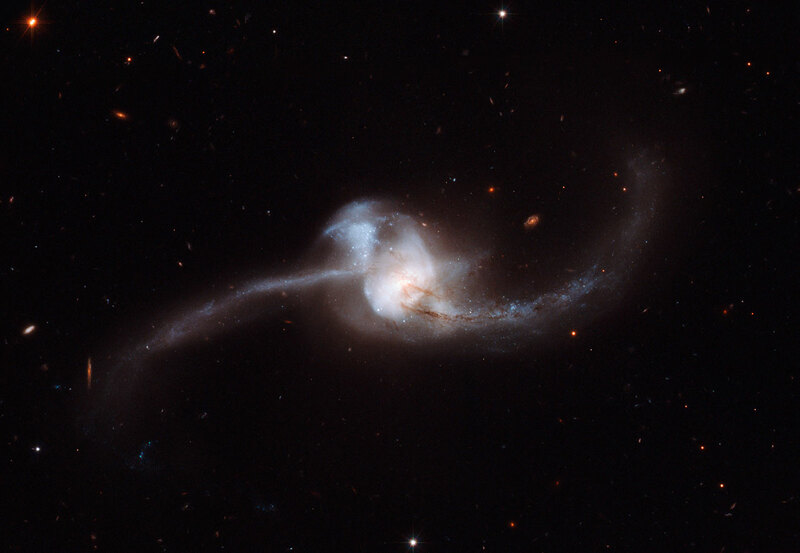 Unusual duo: Arp 147 is an interesting pair of interacting galaxies. The left one seems undisturbed, while the galaxy on the right has been shaped into a ring and is experiencing vigorous star formation. Billions of years after its birth, a galaxy produces fewer and fewer stars as it consumes most of its gas. But encounters with other galaxies may stir up the star-forming activity again. Gravitational interactions produce deformations, tidal tails and shock waves that lead to explosive baby booms of new stars. Sometimes, galaxies pass right through each other, producing ring-like structures, or they merge into larger systems, as our Milky Way and the Andromeda Galaxy will do in around four billion years. 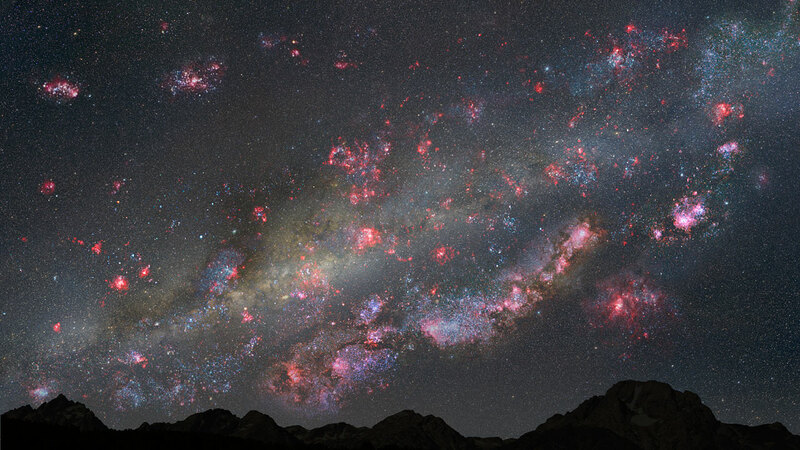 Past fireworks: Ten billion years ago, the Milky Way would have been ablaze with glowing nebulae, young star clusters and bright baby stars (artist’s impression). Death from within: When galaxies stop forming new stars, they die from the inside out. Star formation first ceases in the core, then in the outer parts. 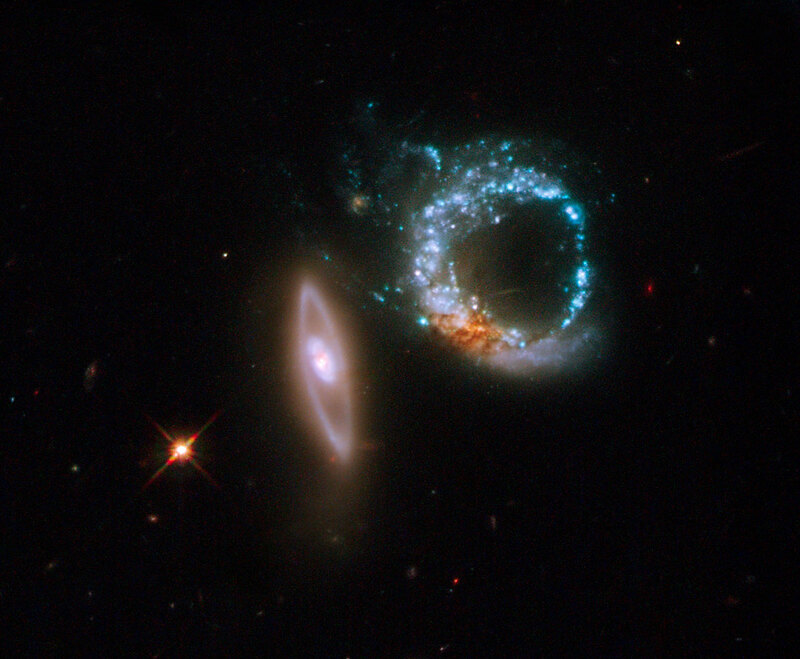 Sometimes galaxies might have a ring shape or look like they have a tail. This can be because of a meeting with another galaxy. They interact and change each other. Often these meetings even cause the birth of new stars.